As a woman who's taken her fair share of pregnancy tests I can tell you that it's one of the most nerve racking moments a woman can ever experience. The peeing, the waiting...everything about it just screams "OMG!" It can seem like some of the longest moments of your life! I remember the last time I took a test and the double lines showed up. Clearly, the test was inaccurate. I couldn't actually be pregnant. I decided to take another, and then just one more to be sure. Finally, it hit me. I was pregnant. Kind of crazy how much life can change in one little trip to the bathroom. I've been getting a lot of questions lately at the prospect of baby number four. I don't know if it's because of Harper's upcoming first birthday or if people just assume I'm a baby machine now (what's one more, really?) but it's been a very popular question. I think the immediate response people expect from me is "Oh, no! We're done!" But when I pause and reply with "I don't know, we'll see." it really throws people for a loop. The truth is, I'm not sure if we're done. For the longest time, I was set on two children. 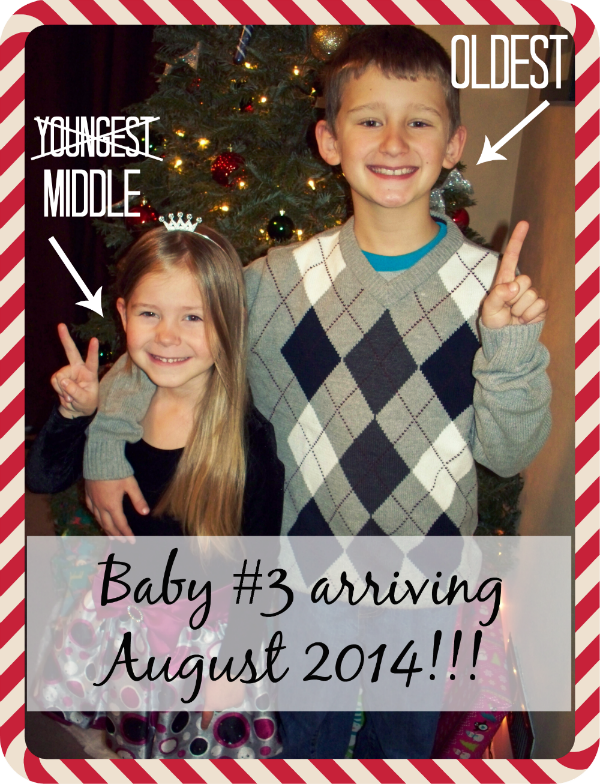 But then we decided to see if three was "our number," and along came Harper (read that pregnancy announcement here). We have a 10 year age gap between our oldest and youngest child, and you know what? We love it. It's been an absolutely amazing experience for my older kids to have their baby sister around, and I know Harper feels smothered in love by her older siblings each and every day. Maybe we need one more baby in the house. 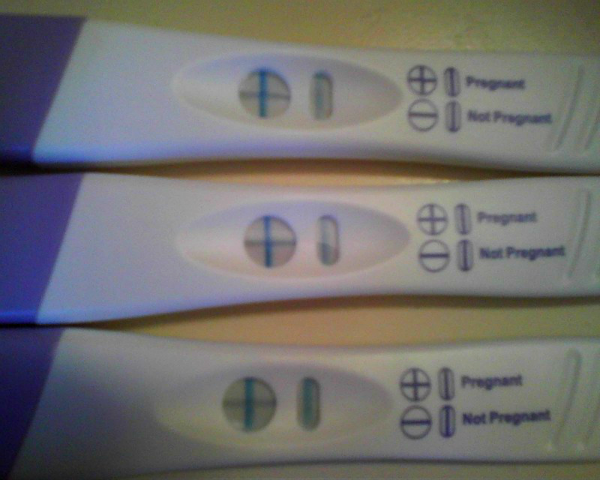 It looks like there may be more pregnancy tests in my near future! The next time around, at least I know who to trust when I need to spend a few life-changing moments in the bathroom peeing on a stick: First Response. Pregnancy tests have seriously changed a lot since I first started taking them. First Response features their Comfort Sure Design Features with a cutting-edge curved shape to perfectly fit a woman's hand, which is perfect because it sure is an awkward angle when you're trying to hit that little target. Speaking of which, they also now have a 50% wider tip with a longer handle, so you can avoid that dreadful "splash" factor. For the impatient ones (like me) fear not: First Response detects all relevant forms of hCG hormones and can detect pregnancy 6 days before your missed period with 99% accuracy from the day of the expected period. That means I could have saved myself the hassle (and money!) and quit after just 1 positive test. First Response gives results in less than 3 minutes and results are easy to read: two pink lines means you're pregnant. You can also take the test at any time- no more waiting for your morning pee. 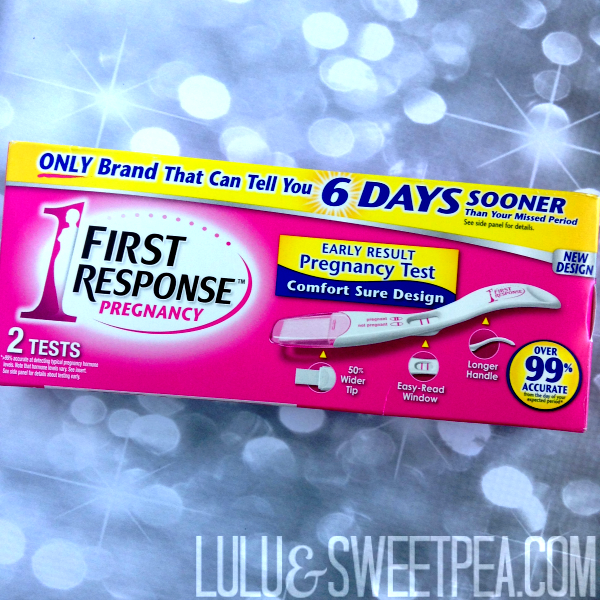 Just head to any major drugstore or grocery store, day or night, and find the pink First Response packaging. They retail for $8.99-$15.99. So here's to the idea of baby number four! Who knows what the future holds, right? Maybe some day soon I'll be sharing more pictures of positive pee sticks. Do you have any funny or memorable stories involving pregnancy tests?